While we have invested a great deal of money into getting MotoMedics up and running, we still need a lot more support to get MotoMedics to a point where we can fully cover the riding community. This is why we are calling on the community to assist us to maintain our mission. Thank you for taking the time to donate and support us. 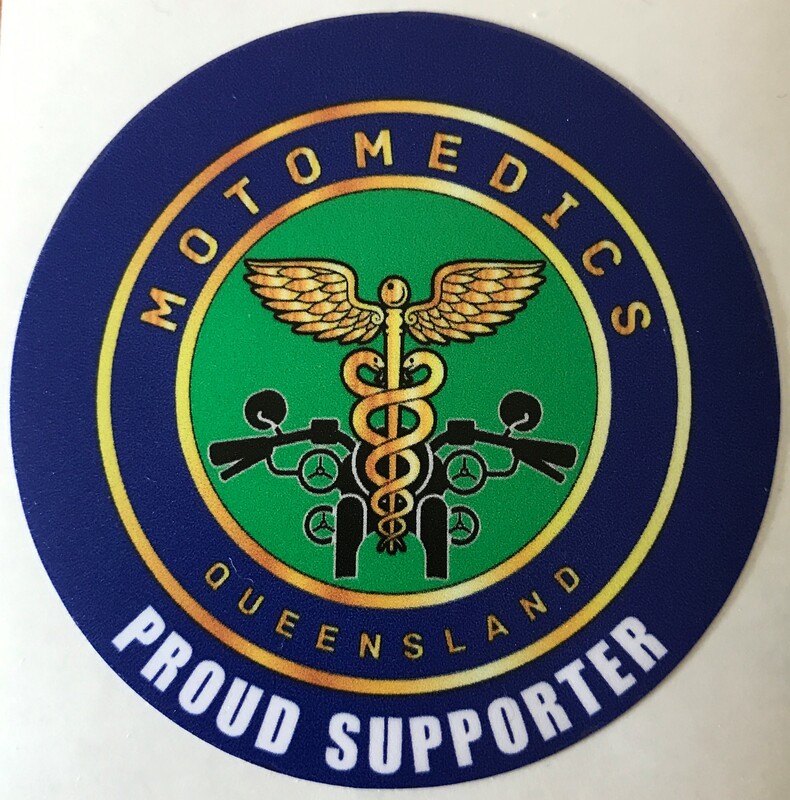 All donations over $10 will have a Motomedics Supporter sticker posted to them. That's one sticker for every $10. Donate $20 and get two and so on. MOTOMEDICS IS CURRENTLY EXPLORING NEW WAYS TO RAISE FUNDS. Please email us here if you would like details of how to donate direct.